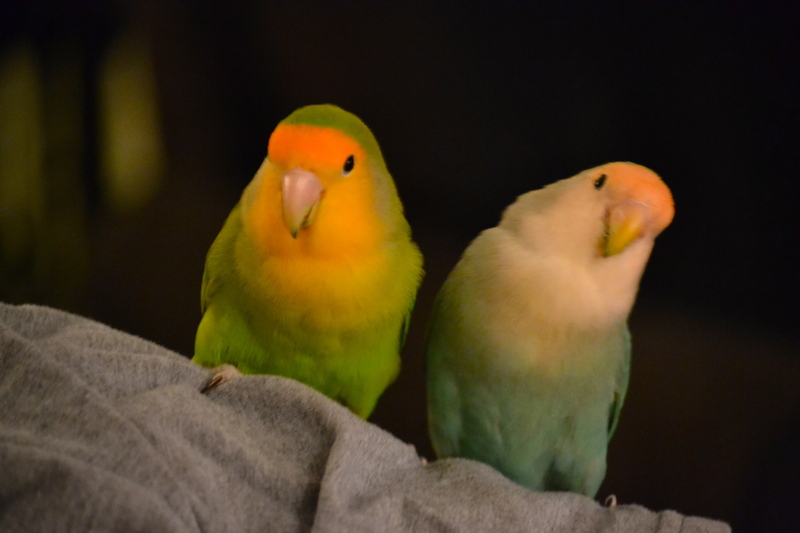 Here are the pretty little love birds. 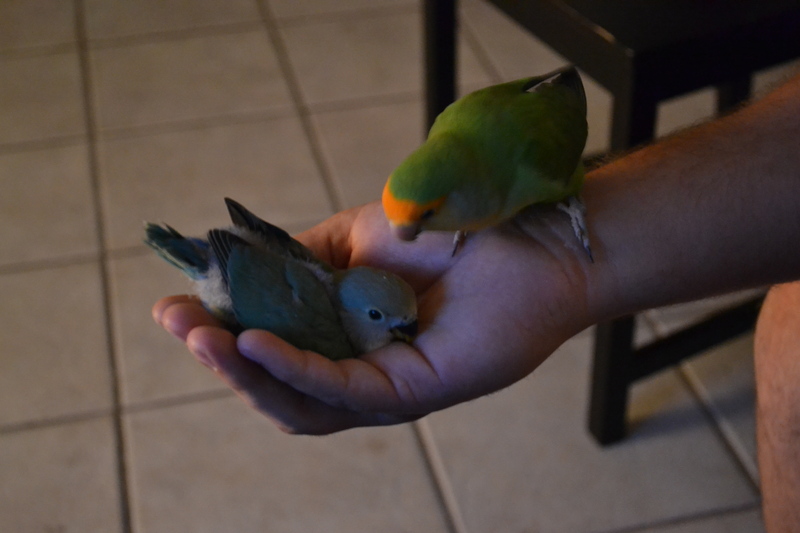 My daughter tries to handle them often so they get used to being held and learn to fly to them when they need to go back into their cage. They are so very soft and warm! Very fun to hold. 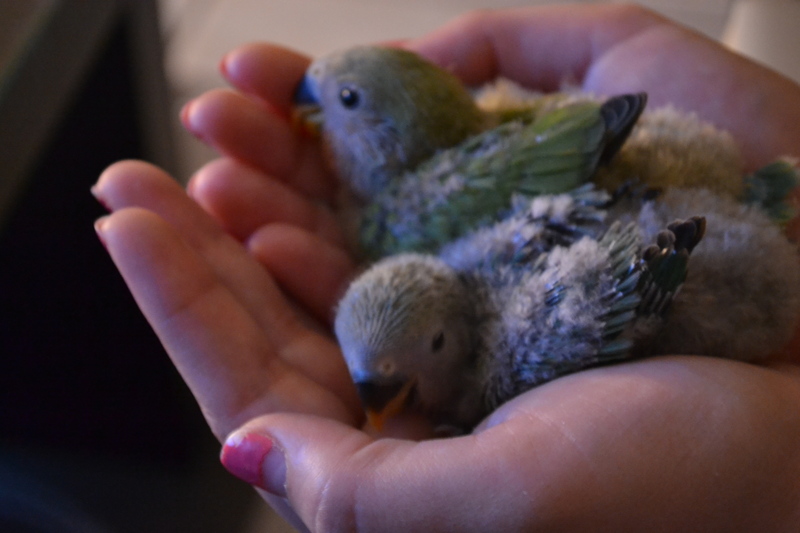 They kind of freak out when you first take them out of the nesting box, but soon are at home in your warm hands. 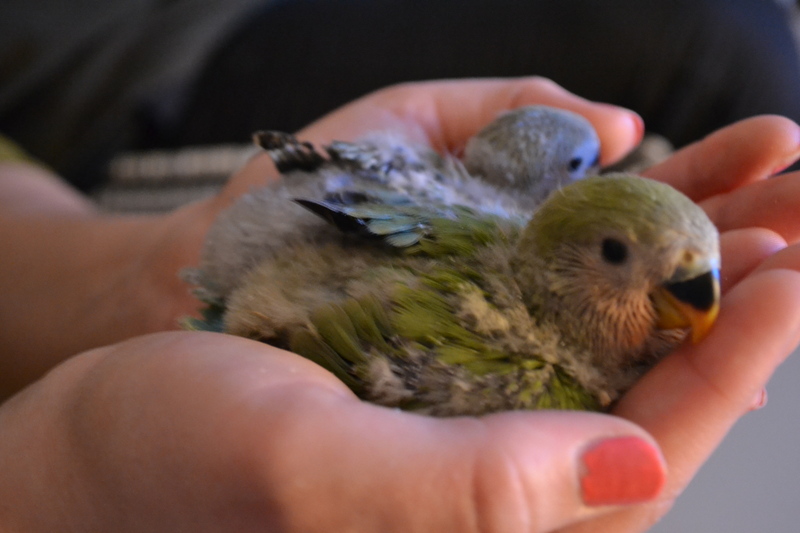 Here is the biggest one (it hatched a few days before the other two) with its Daddy. It’s amazing to see the parents actually push him out so he will learn to fly. I could hardly believe my eyes. When I say push, I mean PUSH. The poor bird flapped and nearly had a heart attack before it recovered enough to get itself upright again. Poor baby. It’s tough growing up, isn’t it? Here are the parents. They certainly are love birds… there are already 3 new eggs in the nest! Soon there will be three new babies. Enjoy your pets (if you have any). Haha! Yes, they certainly have very distinct personalities! They are a lot of fun. It’s hard taking pictures of them because they do not stay still for even a second. How cute! My parents had lovebirds that looked just like your couple about 60 years ago. That’s one kind of noise I always enjoyed.